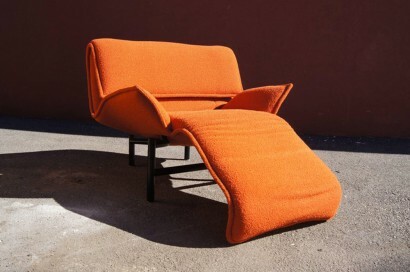 First conceived by Vico Magistretti in 1983 for Cassina, the exuberant Veranda lounge chair offers comfort and flexibility. 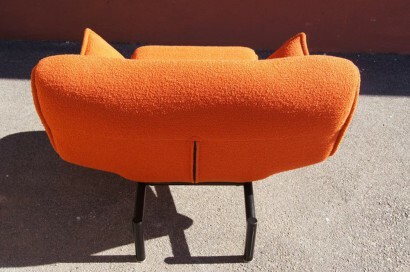 The inner steel frame adjusts to reconfigure the chair. 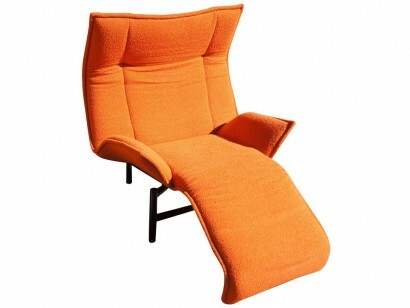 The seat can tilt back and fold up or down to change the height of the headrest; the footrest stretches the seat 51 inches when open and retracts to 36 inches when furled under. 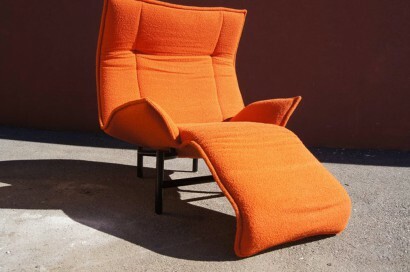 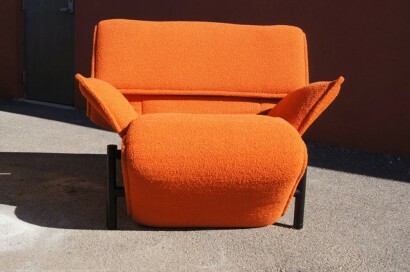 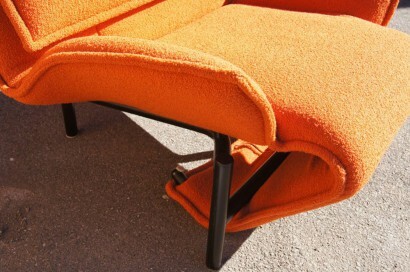 The chair sits on black tubular feet and is upholstered in a russet orange textile. 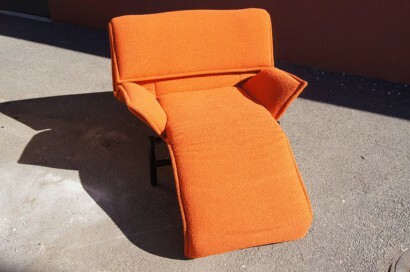 We have two of these Veranda chairs available.